Mindscape in Words: Happy Friendship Day! 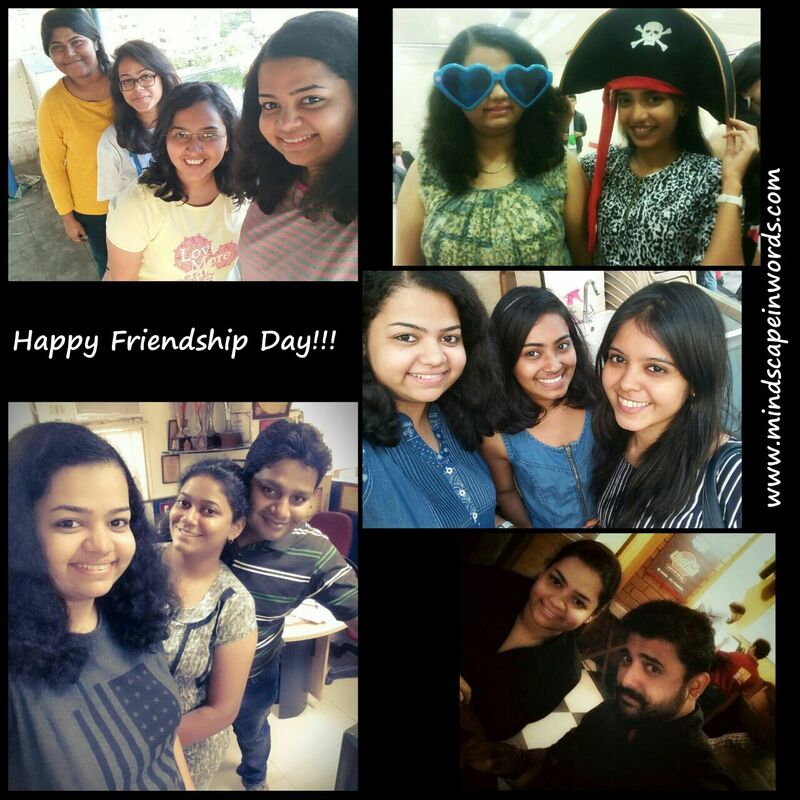 On the occasion of Friendship Day, I'm saying a huge thank you to all the friends for putting up with me. Here's a little something for being the most amazing friends! Thanks for putting up with me, Priyanka. Thanks for putting up with me, Suruchi. Thanks for putting up with me, Akshaya. Thanks for putting up with me, Divya. Thanks for putting up with me, Aishwarya. Thanks for putting up with me, Vaishnavi. Thanks for putting up with me, Abhijeet. From real-life sensibility to some crazy theories. Thanks for putting up with me, Rohan. Thanks for putting up with me, Sukanksha. Thanks for putting up with me, friends.